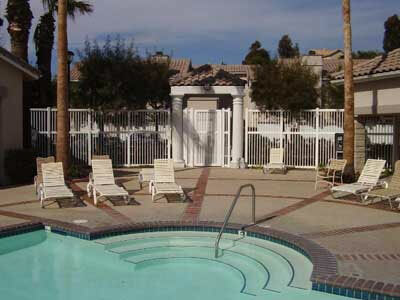 This commercial pool fence installation in Portola Hills, CA features a vinyl california style pool fence. 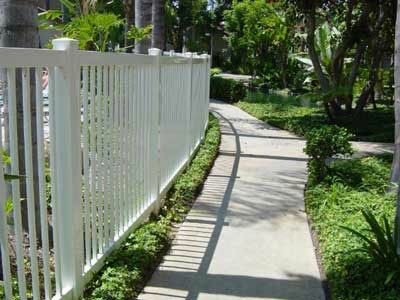 We completed this commercial pool fence installation in Portola Hills, CA. 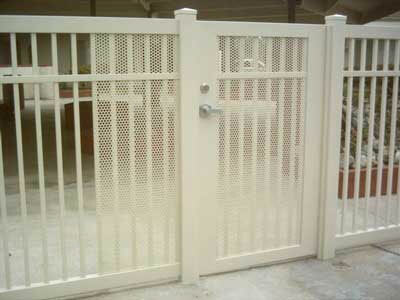 This California style pool fence features white vinyl. Country Estate Fence installed this commercial pool fence in Placentia, CA for a client who needed a pool fence for their housing association. 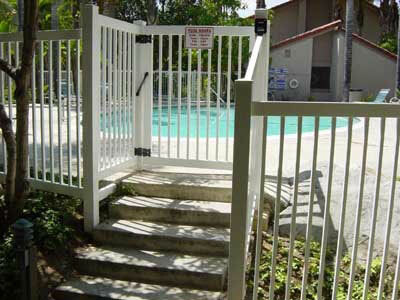 This commercial pool fence in Placentia, CA was installed for a housing association. 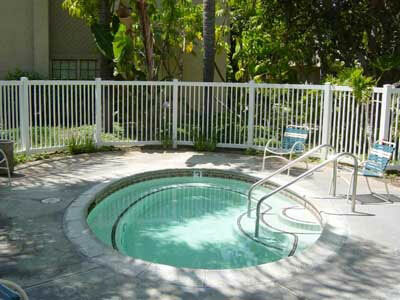 The California style pool fence is made out of white vinyl. Country Estate Fence completed a commercial pool fence installation in Placentia, CA for a client's housing association. This vinyl pool fence was built in the California style. 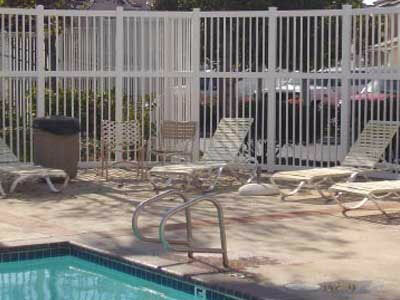 We installed this vinyl commercial pool fence in Portola Hills, CA. This California style pool fence was perfect for our client who wanted a simple pool fence. They chose white vinyl to give the pool area a relaxed feel. Country Estate Fence completed a commercial pool gate installation in Anaheim, CA. 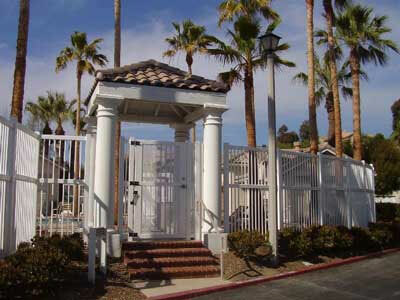 This California style pool gate features mesh to ensure people wouldn't be able to unlock the door by sticking their hands through the pickets. This residential pool fence installation in La Habra, CA features a vinyl pool fence built in the Lakeland convex style. This client wanted a solid privacy fence with two colors so it would stand out more. They chose the convex style so the fence would have a unique shape.